Any Video Converter is a simple yet efficient video converting tool that helps you effortlessly convert any video file to any format with ease. The multimedia application is able to convert virtually all video formats, including MPEG, DVD, WMV, AVI, DivX, XviD, rm, MOV and VOB. Any Video Converter for Windows boasts an easy to use graphical interface. You can also use this media converter to download online clips of your choice and then save them locally. The program allows you to download online videos from Facebook, YouTube, Vimeo and 100+ sites in a few clicks. 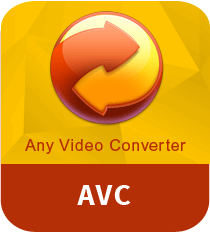 Download Any Video Converter to convert any video to just about any video file format. The application also comes packed with some handy tools like BluRay disk burner, DVD burner and a basic video editor. For advanced users, the video converting tool also offers some controls to adjust the frame rate, bitrate and codecs etc. Another distinctive feature that makes the application stand out is that it includes an online video downloader and converter which are able to automatically download YouTube videos just in a single step. On top of that, the application allows you to edit any video as per your choice. You can crop, rotate, trim or join any video. Besides, you can even add watermarks and special effects to your videos. Any Video Converter for Windows is all-in-one video software that allows you to convert video files to different formats, so that you can run your videos on any of your device with ease. Install the latest version of Any Video Converter now and take your video converting experience to the next level. The video conversion tool can be easily operated by both novices and professional users. Rip, burn, edit, convert and download any video with this simple yet powerful multimedia application.